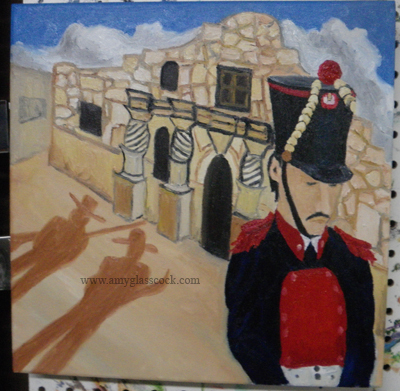 I did a sketch of my second Alamo painting today. 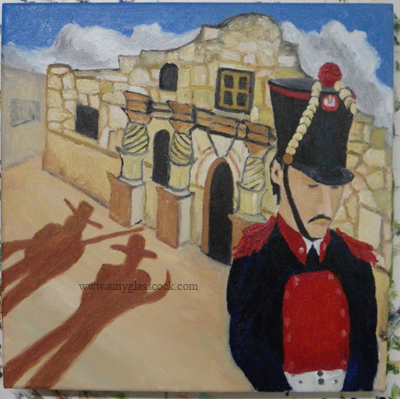 It is going to include a Mexican solider in the foreground and the shadows of Jim Bowie and Davy Crockett resting on the side of the Alamo in the background. 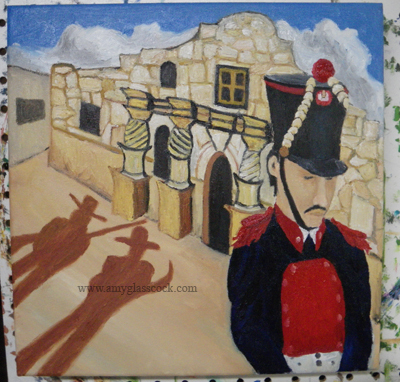 I had a lot of time to paint today so I came a long way on this one. 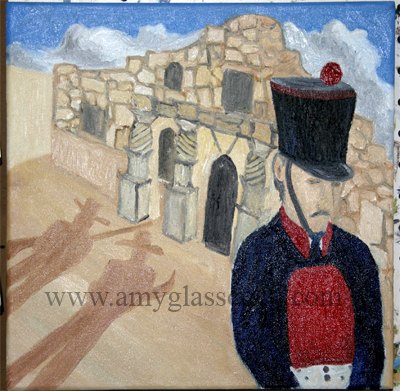 I worked on the color of the Alamo building and on some of the shadows in the columns. 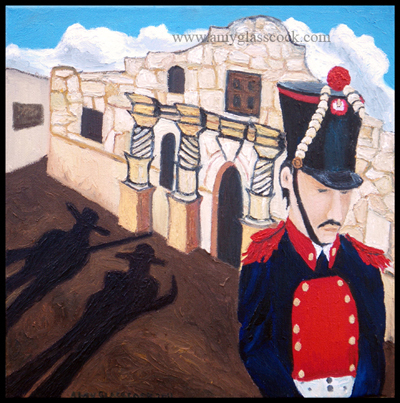 I changed the color of the shadows of Davy Crockett and Jim Bowie and I also changed the color of some of the shadows on the columns. 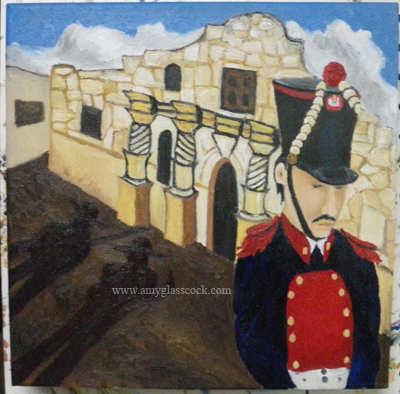 I worked on the color of the stones on the Alamo building again. More work on the columns. I also worked on the soldier's buttons and made the dirt a lot darker. Today I finished! 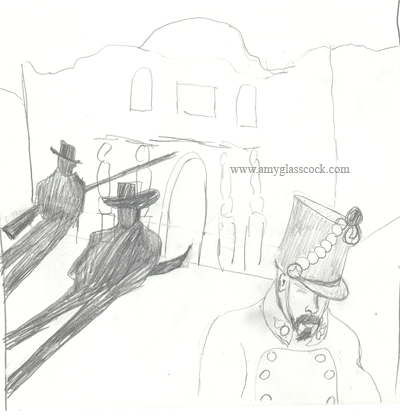 I made he shadow darker and worked on the man's uniform more.